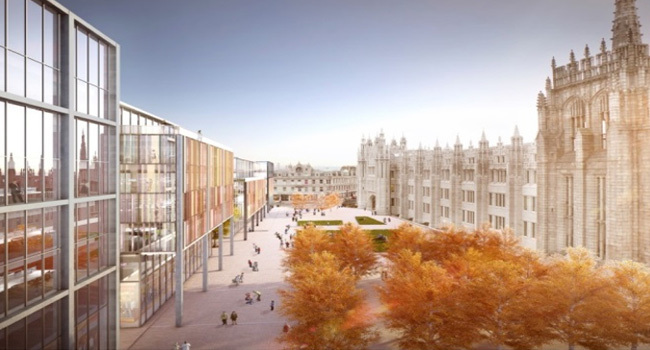 Muse Developments and Aviva are Aberdeen City Council’s development partner in a joint project for the redevelopment of the former St Nicholas House site and Broad Street in Aberdeen. 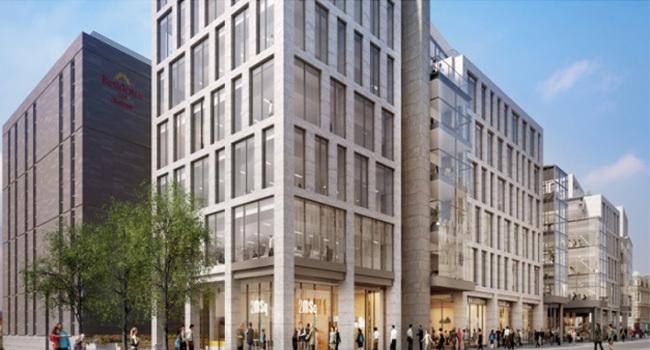 The project aims to create offices, a four star hotel, restaurants car park and new outdoor public spaces in the centre of the city. 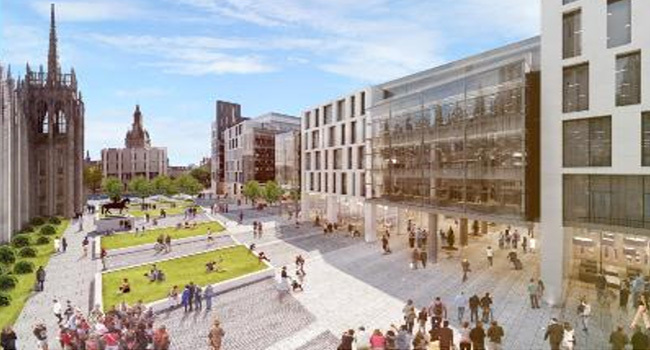 The mixed use Marischal Square Development in Aberdeen commenced on site in April 2015 and completes in June 2017. The project deliverables comprise 173,500sqft of flexible commercial Grade A office space, 26,500sqft of A3 retail space in 7No. Units, a 126 bed Marriott Residence Inn Hotel and a two level basement car park providing 240 car parking spaces. In addition substantial high quality areas of public realm are being provided. 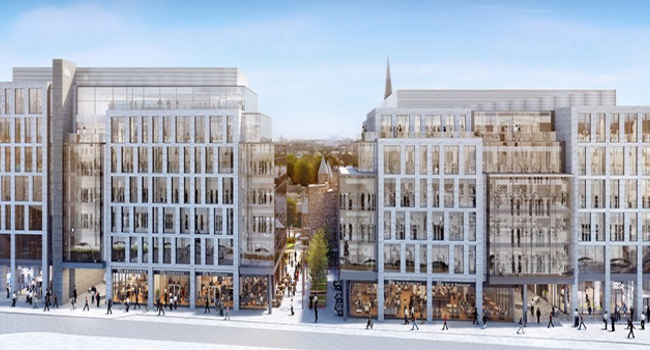 The project was procured on a negotiated open book two stage basis with Morgan Sindall Construction. Thomas and Adamson were fully involved in all aspects of the evolution of the tender sum from selection of potential tendering sub-contractors to commenting on the proposals submitted and sitting in package tender review meetings. The works on site are being carried out under a design and construct form.